The DDU University on Friday has announced the results for BA-I & II, B.Sc & B.Com results. The students who have appeared in these academic exams conducted by DDU university can check their results on our website. Accessing results on our website has become much easier now. The students need to enter their preferred course/ Roll Number provided in the admit card/hall ticket to view the results. 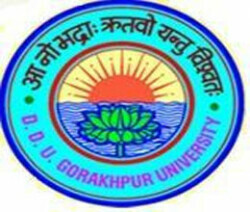 Issuing a notification further added that the results for BA-I & II, B.Sc & B.Com for year 2014-15 is also available on the official website of DDU Gorakhpur university. Issuing the notification on website the DDU varsity said that "All the academic results for academic session 2014-15 would be announced on scheduled time. The university in the month of August - September has already announced results of M.A Sociology - I, M.A Geography 2014 (I), B.Com (II) 2014, B.Sc (AG) IV - 2014. We are keen to provide the students results on schedule time. As a student you just need to visit our Board and University pages on regular basis to get an instant access of the results. Soon, we would bring all the Board and Universities Results just on a single click on your Mobile.It would be more convenient and user friendly. Without opening your computer and going to the cyber cafe ....you can access your results within minute. You just need to visit our web page results.amarujala.com ; enter your Roll Number and view the results. To check your results CLICK HERE.